Before Boston just landed the Angels’ ace righty John Lackey, the Yankees needed to sign a major arm. We all watched New York strain through the postseason on 3 starters and the fumes of their fabled closer Mariano Rivera. Make that 2 starters and a Burnout. Having dropped tens of millions last year to acquire the top half of their rotation plus a first baseman who can field even better than he hits, the Yankees were nonetheless widely reported ready to take on another huge starting salary for one of 2 newly free agent righties: Toronto’s perennial phenom Doc Roy Halladay (RHP) or Bulldog John “It’s Mine” Lackey. This surprised me, and I could not take it for granted, especially after Detroit’s Curtis Granderson joined their outfield committee a few days ago. Sure enough, early today I read the Twitter sighting: Lackey was seen at Fenway. I couldn’t eat for hours. Next thing I knew, the MLB Network was reporting a 3-way deal that would send Halladay to the reigning NL Pennant holders, the Phillies, whose recently-acquired World Series star lefty Cliff Lee would move to Seattle. Well, if a hunger strike could help the Yanks, well, by now I was losing my appetite the way some people lose keys. Good thing Guinness is food. We are in trouble. And who knows how tired-out Sabathia and Pettite will be. While we are wondering, let us pray that God continues gracing Mo’s cutter with divine inevitability and ministerial conviction. Why are the Mets looking at Anaheim’s annoyingly scrappy, productive 3rd baseman, as the MLB Network has been reporting? His ability to play other positions, perhaps? How is David Wright’s health doing? Meanwhile, the Red Sox just obtained Eric Gagne (2.16, 17 of 18 saves) from the Rangers, despite having a killer closer in John Papelbon (2.15, 23 of 25 saves). CONSENSUS There was one, right? Yankees need bullpen pitching BADLY. NOT batters. A BAT FOR THE BENCH? Let’s look at our oft-maligned bench. Ignited by Make-It-Happen Miguel Cairo ("the best .239 player in baseball," John Sterling reminds us. ), a defensive star and utility player who has hit .255 overall but much higher during periods of everyday play covering first base while the injured Giambi’s replacement Doug Mankiewitcz was on the DL, and until farmhand Andy Phillips was appointed permanent substitute. If that sounds like teaching in NYC, where teachers who have more than paid their dues after a decade or two in the system are being forced into substitution while youngsters take over the classrooms, you’re right. No offense to Betemit (.231), but, … well, do we need him more than we need Proctor? And isn’t the point that we needed to ADD to our bullpen? BULLPEN – Yankees just traded their righty reliever Scott Proctor (3.81 ERA) Why? True, he hit a wall in June when he averaged 5.17 runs. But his July ERA is 2.84! He has pitched in 52 games. Last year he entered 89 and ended the season at 3.52. Consensus is that manager Joe Torre overused him last year. Umm. Would you say he was ON PACE to burnout again this year? Remember the uniform-burning ritual? Why are so many Torre Dynasty relievers in the running for most innings pitched? Does Torre have a pattern of overusing a reliever as his trusted go-to guy? Hmm. Lefty Ron Villone was so wiped out last year that his arm was dead by postseason. To recognize his contributions, the Yanks started him in the minors this season. Today his ERA is 3.12 after 23 games. He ended last year with a 5.04 ERA after 80 games. Looks like Torre might have learned something here. Is Mike Myers the new trusted lefty? Uh-oh. 2.61 after 50 innings. Already! Wherever and however he pitches, the one comment you can count on hearing about Mike Stanton is that he’s on the list of the hardest-working lefty relievers in baseball. He pitched in over 70 games for over half of 6 years with the Yankees (over 60 for the other 3). As a Met, he reached his pinnacle of 83 games in 2004, and still managed to keep his ERA at 3.16. Did Torre start him on this path? At this point, I get the feeling that he he keeps going in order to see how many innings his career can survive. Remember righty Paul Quantrill in 2004? Get ready: 86 games, 95.1 innings. Remember him burning out his arm? You get the idea. And don’t forget the great relievers they let go. Remember the Stanton – Mendoza combo? I’m still smarting from that one. So, Mr. Cashman- Would you mind ADDING to our bullpen rather than taking away from it? Between you and Mr. Torre, we’re losing our relievers faster than we can win our games. We let Jeff Nelson retire in pinstripes. We had just re-hired him, again, and he retired before spring training. Could that have been pre-arranged?! Surely we can do something for a man who loves the Yankees more than he loves his beer and ego combined. He even has some good games left in him to boot, and we saw him pitch well into the postseason again last year as a Padre. WHO could this be???!!!! San Diego sounds like they want him but can only go so far, and you know we can beat that number. We need another lefty, don’t we?! Wouldn’t it be cool? And, if there’s any chance we are going to fulfull Petitte’s wish for Clemens, can we show Wells some respect by hiring him back first? 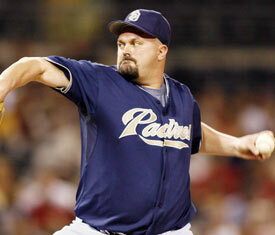 After all, we let him go the first time in exchange for Clemens, who took some time to fill Wells’ shoes. I know, I know about Boomer’s second time around with us, and his book and his back and how he wasn’t throwing off the mound, and how some that season’s disappointment on his untimely departure after a perfect first inning with back pain. Despite the debacle, there was no way he could accept the minor league contract for a couple hundred thousand that we offered him after that year. Mr. Steinbrenner, PLEASE! Let Mr. Clemens go to the Red Sox, and let Boomer come back to us where he belongs. He can even pitch short starts, even out of the bullpen sometimes. Let him pitch as a Yankee one more year, and retire in pinstripes. Surely Jeff Nelson would not mind the company, when the time comes.